The FIS Parent-Teacher Association (PTA) welcomes parents and students into a strong and supportive international community. With vibrant and engaged families currently representing 20 + countries, we offer a valuable social network. The purpose of the PTA is to enhance our children's educational experience, by providing a supportive social environment for international families and by encouraging a spirit of cohesiveness. We welcome all parents and teachers as members of the PTA and encourage everyone to join us at our various events throughout the year. Please email us at ptafis@fis.ed.jp to let us know how you are able to help. Thank you to all those people above for volunteering. We appreciate the time, enthusiasm and effort you give the school. A friendly reminder to families who have not paid their annual PTA fee: To make it easier, we are happy to accept a cash payment in the office. Please place the fee calculated on the grade of your oldest child, as set out below, in an envelope for the attention of the PTA. If you would like to pay by bank wire, please stop by the office for the required bank form. * If you have more than one child at FIS, please remit the fees according to your eldest child and his or her grade. Serving refreshments and snacks at the Talent Show - March 20. 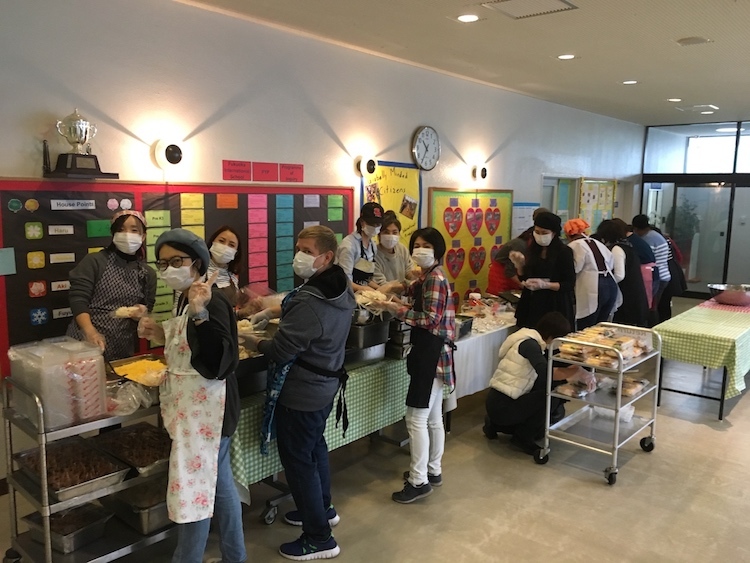 The annual Spring Festival is the school's largest fundraising event and a multi-cultural event for the whole family and surrounding community. We appreciate all of your help, big and small, to make this event a fun, exciting, and successful day. We need helpers for the international food and game booths, Lucky Number Raffle, craft stall, bake sale, helping prepare the stage entertainment. Please email ptafis@fis.ed.jp to let us know how you can help. Although the Executive Committee serves as the PTA's administration, all FIS parents and guardians of students currently enrolled at FIS are automatically members of the PTA and are responsible for its success. Thank you for your support to the PTA through your annual membership fee. The FIS Parent-Teacher Association (PTA) holds a number of meetings throughout the school year. PTA Executive Committee meets once a month to discuss and organize various special activities. The PTA's Annual General Meeting (AGM) is held twice a year, in the fall and spring semesters. All FIS parents are invited and encouraged to attend these informative meetings and share ideas, concerns, and experiences at our school. 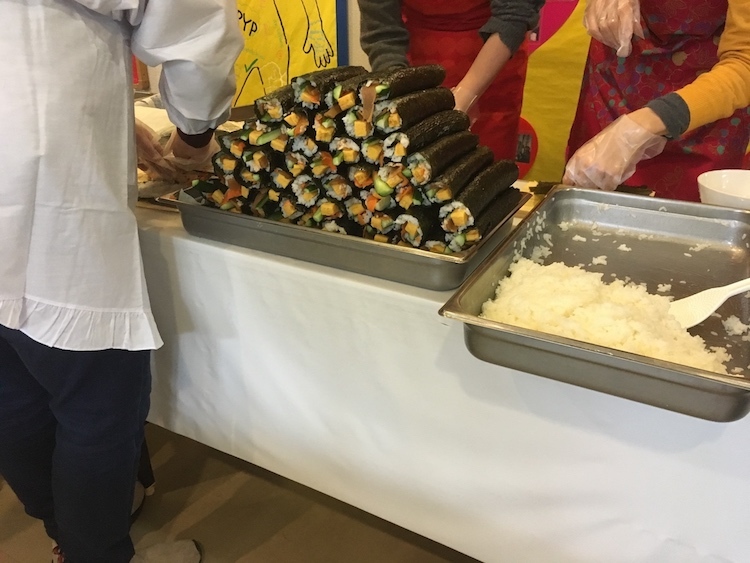 This year’s successful Japan Day was held on Friday, February 8th. 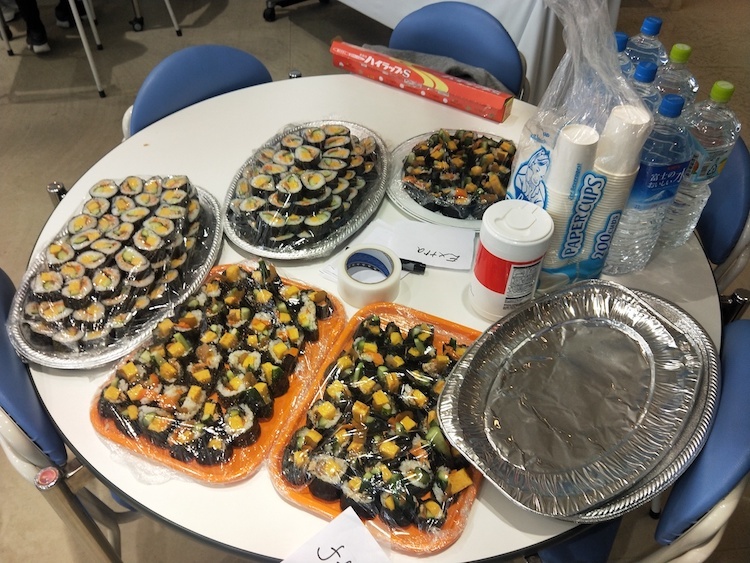 During this annual event, students were provided with the opportunity to learn more about Japanese culture and tradition by participating in several cultural activities in classrooms and athletic activities in the gym. Students were encouraged to come to school in Japanese traditional clothing or any other clothing items that represent Japan. It was a half day event for students only. Lunch was prepared by Cezar’s Kitchen and packed and served by PTA as bento (lunch box) for everyone. The lunch included barazushi, karaage, meatballs,sausages, broccoli, and daifuku mochi. 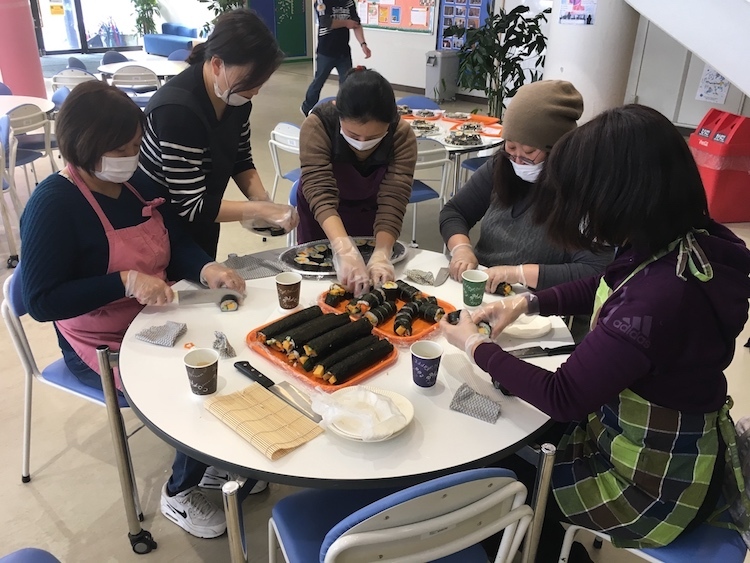 There was also a makizushi (sushi roll)-making demonstration and tasting, which was organized by PTA. When students finished their lunch, they went to the gym for the opening ceremony which included a short speech by the Japan Day leaders, G11 students Kazuma Yoshimori and Takeru Kajiwara, followed by a speech by Headmaster Robin Schneider who welcomed 53 guest students from Yamada Elementary School in Hisayama. After the assembly, students divided into groups based on their houses and conducted some fun activities in their assigned rooms and gym. It was a great cultural experience for everyone! This Saturday is the FIS Family Fun BBQ and Talent Show. Please remember to bring your donated baked goods to the school from 9:00am on Saturday. PreK3 – Grade 2 students that do not wish to watch the talent show. Free Games available for children in the classrooms. Prek 3 – Grade 2 students may leave at this time or watch the Talent Show. No outside activities are available. Please be patient if there are queues for food and try to buy your food when you see the food stalls are not so busy. Thank you to all those parents that have offered help and are helping on the day. Please support Lieto, a craft co operative, that donated goods for the BBQ fun day this year. What a great night and delicious food at the First PTA Christmas Dinner.